Half the fascination of the tea hour, perhaps, lies in the dainty array of tea-cloth and d'oyleys, the attractive display of china, the bright and shining kettle and teapot, all set out on a pretty table. It always seems the most restful meal of the day, when there is no inordinate hunger to satisfy, and we can enjoy to the full the pleasing paraphernalia of the repast. 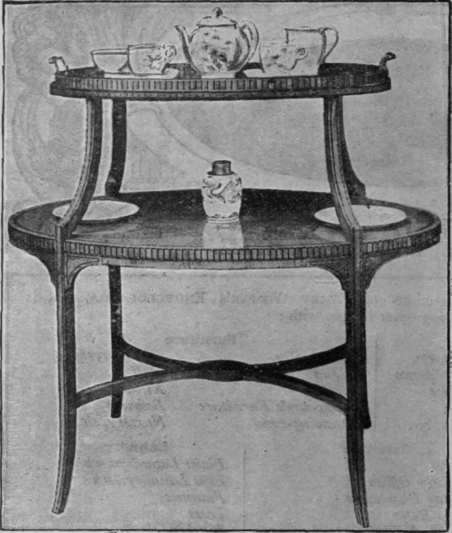 The Sutherland table, because of its folding legs and flaps, which enable it to be conveniently put away in small space when not in use, is the most popular form of tea-table. It is made of mahogany, either plain or inlaid, and is quite inexpensive, being obtainable in a small size from as low a sum as 17s. 6d. It is a mistake, however, to have one of these tables too low, as the top is more likely to get knocked and for things to be upset. At the same time a low table looks very pretty. Another very delightful model is an old Chippendale one of mahogany with a moulded edge. This is circular, and is also folding, and is made with a central tripod leg. Of quite a different type are the copies of the two-tier Sheraton tables. These are found in either mahogany or satinwood, and have the effect of two oval trays one over the other. A loose tray of plate glass is made to fit the top, and the tea-things are brought in on this. These tables are rather high, but some people prefer this, and the lower tray makes a very convenient receptacle for plates and cakes. 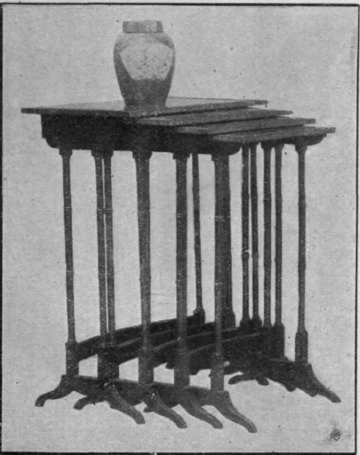 To prevent the difficulty of holding cup, saucer, and cake or bread-and-butter, the little odd tables for holding these things are considered most important in those houses where the guests are always made to feel that they are looked after with really thoughtful care and that the wish is that they should enjoy the acme of comfort. Photos. Messrs. Gill & Reigate, Ltd. The small nests of three or four little tables that fit one under the other are very popular. They are a revival of an old fashion, and the original old models are eagerly sought. They are generally made of mahogany with a little bead of black wood around the edge. They are also sometimes found in satin-wood, but these are rare, and are very greatly prized. However, we are fortunate in these days in being able to secure excellent reproductions at moderate prices of most of the good models that prevailed at an earlier date. The tables in nests are straight-edged and long, but there are some little round ones, really a miniature edition of the folding tripod table, that are also extremely nice for guest tables. They are found in all sizes and qualities from about half a guinea each, though much more is paid for the best work. 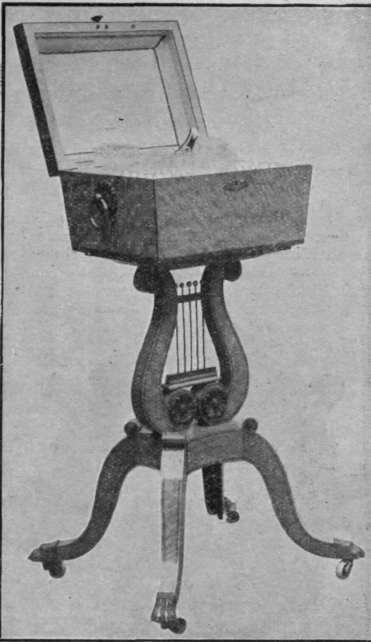 In the latter category would come a beautiful little model with a fret-cut edge, an example of the later Chippendale period. This raised edge gives security to the cups and saucers placed on the table, and though fragile looking it is very strong, as it is made of what is called laminated wood, consisting of three thicknesses of veneer. 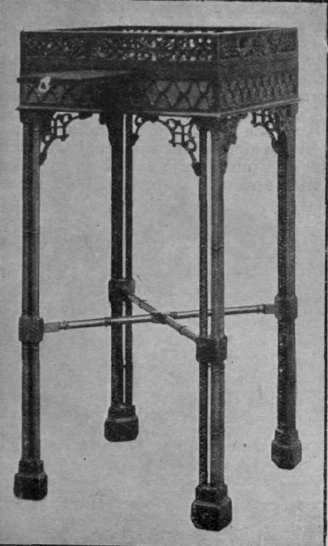 A folding tripod table with a moulded edge, a good example of the later Chippendale period. Beyond the small guest tables extra accommodation is, of course, wanted for the plates of edibles. For these there are some two-tier Sutherland tables that are very practical as they fold up when not in use. Some quaint little, round, two-tier "dumb waiters" in mahogany in the old style are also used a good deal. Many people, however, like a portable stand for cakes, as it is extremely convenient. Especially is this the case with some new models that fold up quite flat, and can be put away in very small space. There are quite a variety of shapes and designs to be had, and, instead of the cheap materials in which they were formerly made, they are now carried out in good wood, mahogany, or walnut, sometimes inlaid with other wood. The urn stand is a revival of a very charming old fashion. It is rather difficult to secure a genuine old piece of this kind, but, as usual, our needs can be supplied by a good reproduction. These tables have a tiny tray that pulls out in front on which to place the cup and saucer. They are, of course, more frequently used for a silver kettle than for an urn. In this case, however, it is essential to have the top fitted with a piece of plate glass to protect the wood, as a drop of methylated spirit would eat right through the polish and ruin it. There is no doubt that this little separate table for the kettle is very practical and convenient. Another relic of former times is the tea-poy. This is a case rather like a large workbox of inlaid wood raised on legs. One very interesting example is lined inside with bright red velvet, and fitted with a couple of glass jars for the tea, and two cut-glass bowls for moist and lump sugar. Besides these there are two dozen silver-gilt spoons, and a pair of sugar-tongs. This is a reminiscence of the day when tea was so expensive that the servants always had to bring the teapot into the drawing-room, to be filled by the mistress of the house, who doled out the precious leaves with great care. One also finds tea-poys of blue china, which have come down to us from the same period. The inlaid tea-poys are so rare as to be very costly, and as they are more interesting than of actual practical use there are no replicas. The dainty lace-edged d'oyley for the cake-stand, the elaborately embroidered or hand-drawn tablecloth, and the pretty tea-cosy, are all essential adjuncts to the modern tea-table, but as many pretty and useful ideas on these things are described in the Needlework Section of Every Woman's Encyclopaedia, the subject need not be touched upon here. There is a tendency to return to the sit-down tea of our childhood in the highest classes in society. Amongst that fortunate section who possess perfectly appointed country houses the consumption of wafer bread-and-butter and sugar cakes has long been voted unsuitable and inadequate. Perhaps the very late dinner at half-past eight or a quarter to nine which King Edward favoured, perhaps the healthy and robust appetite in the Royal circle, where savouries of various kinds, as well as sweet cakes, were always served at tea, helped to revive the sit-up-to-the-table tea. Whatever the influences, certain it is that now if the house-party is seated in the hall or the garden, two footmen bring in quite a substantial-looking table and a pile of plates, while tiny, specially made tea-knives are amongst the equipment. Piles of home-made scones, little rolls, and girdle-cakes soon disappear; and the old cut-glass dishes with dainty conserves of strawberry, apricot, or quince, are much in request. As a rule, the guests wait on each other, and the meal is quite informal. They sit at the larger table, or carry plates and scones to smaller tables also prepared in different parts of the room where groups of guests may be sitting. A fairly substantial meal of bread-and-jam, when each are home products, and made to perfection, is certainly more suitable a meal than the old afternoon tea fare when one has been motoring and has a healthy appetite. Who has not recollections of some delightful country inn where crisp toast and blackberry jam is served, where the honey is "from our own hives," and the featherweight sponge-cake is above reproach ? 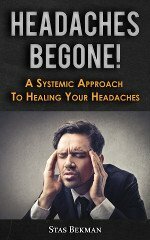 The simple-life influence creeps in everywhere, and though few accept the more severe tenets of the cult, people of intelligence use the common-sense suggestions for comfort and homeliness which it brings.